Add our super concentrated Anti Mould Paint Additive to any emulsion paint to make your own anti mould fungicidal paint. This can help stop harmful black mould growth and improving air quality. One 120g bottle treats up to 10L of paint, twice as much as many lesser brands. We understand that it can be frustrating constantly redecorating due to mould growth. That’s why we have developed the Kingfisher anti mould additive for paint. 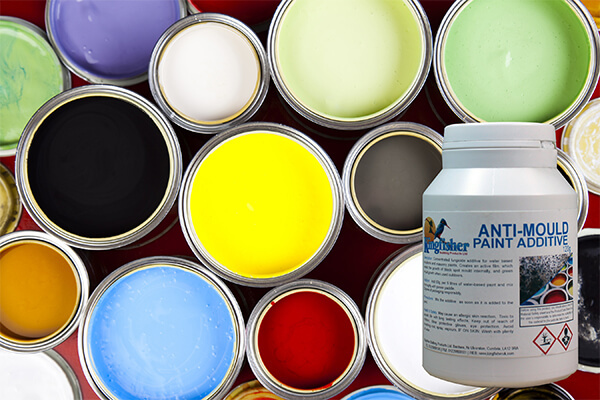 You can add our fungicidal paint additive to almost any type of paint and to any room. 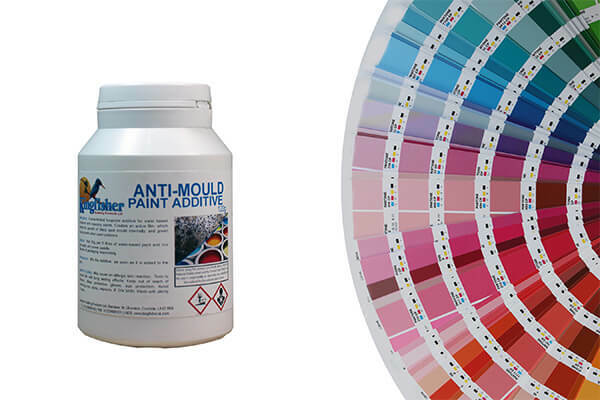 So, whether you need to stop mould growth using emulsion or acrylic paint, we can help. Using an Anti Mould Additive for paint is a much more cost-effective method of creating durable mould and damp resistant paint. With anti mould paint only coming in a limited range of colours, you can enhance your favourite paint to an outstanding anti mould paint. Black spot mould growth is a common problem. It not only leaves ugly black staining on internal paint finishes. The airborne fungal spores have also been proven to aggravate respiratory complaints associated with poor air quality, including asthma. 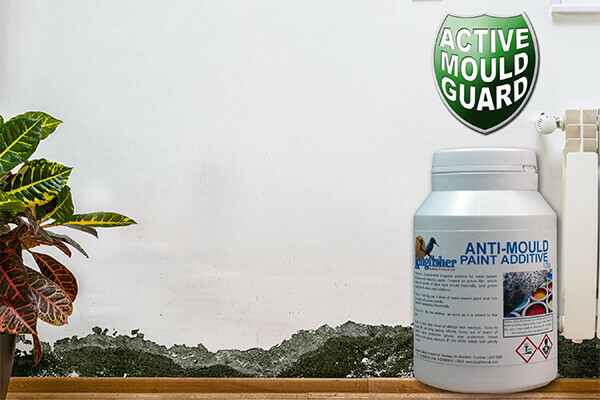 As Anti Mould Paint Additive is widely used by private landlords and social housing providers to treat persistent problem areas by forming a long-lasting, active-film fungicidal barrier that mould just cannot tolerate. Pre-treatment: It is essential to pre-treat existing black spots with Kingfisher "Mould Cure" fungicidal wash. 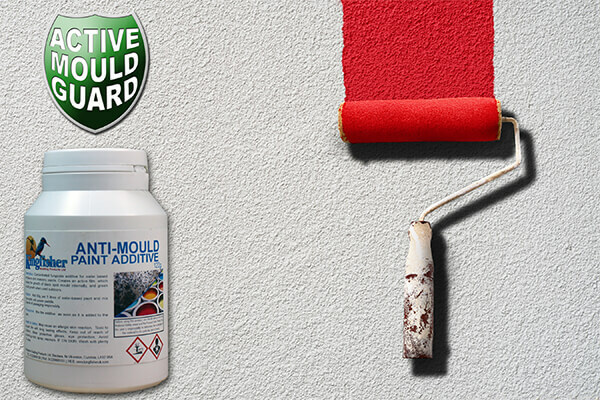 If you are looking for one of the best anti mould paint additives on the market, you have come to the right place. We have a wealth of experience developing and supplying anti mould products. This product has been heavily tested to ensure that’s it is of the highest standard. You can order our Fungicidal Paint Additive for emulsion online for delivery across the UK. Bought this product several years ago to treat a mould area. There's been no regrowth since, and as such I've just bought the product again for treatment in a different property. Bought this to combat persistent mold growth around a window. Used their mold treatment cleaner, then painted with the emulsion mixed with additive. Absolutely no re-growth. Great! It's survived a year now without any signs, and that's good enough for me. An untreated window that I just cleaned and painted without kingfisher products is suffering from regrowth so I am back to buy some more!